When it comes to characters, one particular figure who can either make or break a story for me is the villain. As stated in my Top Five Favorite Villains post, I would go so far as to say that a story is only as good as its villain, who serves as the chief threat for the hero. If the villain is weak, then the story suffers. But if the villain is strong and a nearly equal match for the hero, then the story should be rife with necessary drama and tension. In terms of the type of villain I enjoy, love a good, compelling villain who is on equal footing with and makes for a suitable challenge to the hero. A stupid or lazy villain provides little to no challenge, and a villain who is too smart or too powerful ensures no victory for the hero. So a happy medium is best. However, as much as I love rotten to the core villains (like Harry Potter‘s Lord Voldemort), nothing beats a baddie who isn’t all bad and who might even redeem himself in some fashion in the end. Not just any villain will do. Some bad guys/gals are as flat as a cardboard cutout while others are vibrantly three-dimensional. Granted, there is a time and place for one-dimensional villains, particularly in children’s literature. Because young children do not yet fully understand the concept of moral right and wrong, it makes sense to not over-develop a villain for them as, in their minds, heroes are 100% good and villains are 100% evil. Thus, it’s best if stories for children stick to that equation. However, that formula doesn’t work in stories for adults who are better able to understand moral conundrums. Thus, older readers need and deserve complex villains. So what are some traits that such villains should possess? Compelling Backstory. A villain’s backstory can be tragic, ordinary, or fantastic, but there has to be something that makes the character feel like a real person. It’s fine if not everything from the character’s background is spelled out in the story itself because sometimes it’s fun to muse over who this person was before he/she turned bad. But if a villain is inserted just to fulfill the role of being the story’s antagonist with no glimpse into who they were before the story’s timeline, then the character runs the risk of becoming a stock figure. A complex villain requires a workable history, even if not all of it gets revealed in the story, as the background is there for the writer to steep his/her character in. A good, solid backstory really shows through fully fleshed out characters. Logical Motivations. Villains need to be motivated but their motivations need to make sense within the story’s world and in relation to the villain as a person. For instance, Queen Levana, the principle villain in the Lunar Chronicles series, wants to have absolute power by holding onto the Lunar throne and gaining control of Earth. This desire for control and worship from her subjects makes sense in light of the overall story and makes sense in light of who she is as a person, especially her desire to be in control and be deemed as beautiful as, in her backstory, she was deprived of both things during her youth. Hence, villains can be motivated to do bad deeds for any number of reasons provided those reasons make sense with who they are, what they ultimately want, and the story’s world. Moral Codes and Quirks. By giving a villain moral grey areas, personal quirks, and/or distinguishing characteristics, you can take a standard baddie and turn him/her into a multi-faceted person. Along these lines, villains also need to possess some sort of moral code. This can be (and probably will be) the complete opposite of the code the heroes adhere to or it can allow for the villain to waiver between doing what’s right and doing what’s wrong. This, too, makes characters seem more realistic as moral choices sometimes aren’t so clear cut, not even in real life. Power and Intimidation. Power comes in a variety of ways, from military might, to physical prowess, to magical or supernatural abilities. Regardless of the villain’s power source, he/she needs to have some degree of control or authority in order to pose as a credible threat to the story’s heroes, which also ties into how intimidating they are. A villain’s intimidation factor makes that character seem like someone the story’s heroes – and the readers – need to take seriously. Intimidation, like power, comes in different forms but usually ties in to the villain’s power as the more powerful they are, the higher the intimidation factor, and the more intimidating they are, the more power they wield. Sympathy Factor. One thing that can turn a mediocre villain into a great villain is something in their background or personality that elicits sympathy. I don’t mean they should become pathetic or dopey; instead, a sympathetic attribute humanizes them as they possess something that causes readers to feel sorry for them, even if just for a spell. This could be anything from a rough childhood, to a personal tragedy, to even a physical weakness. Not only does this ground the villain, making them realistic, but it also might provide a chink in their armor that the heroes can use to defeat them later on or that the villain comes to grips with and eventually turns from his/her wicked ways. Tailor-made. Villains should be tailored for their audience. As stated earlier, one-note villains work best in stories for children but not so much for adults. In a child’s eyes, a bad character is only capable of doing bad deeds rather than being capable of doing good deeds he or she doesn’t intend to do or having complicated motives. For adults, a complex or conflicted villain captures realistic moral dilemmas. Keep in mind that all villains had to make a choice – either on-page or off – to get where they ultimately end up, reflecting the law of cause and effect. Sometimes its this series of choices that elicits sympathy as readers understand what it’s like to be caught in a bad situation or make tough choices, only the unspoken message is that we should strive to take the moral high ground, something the villain at some point obviously failed to do. Antagonizers – These are characters who aren’t necessarily evil or even bad but who serve the role of the proverbial thorn in the hero’s side. Two characters who fit this mold would be Draco Malfoy from the Harry Potter series and Eddie Haskell from the TV sitcom, Leave it to Beaver. 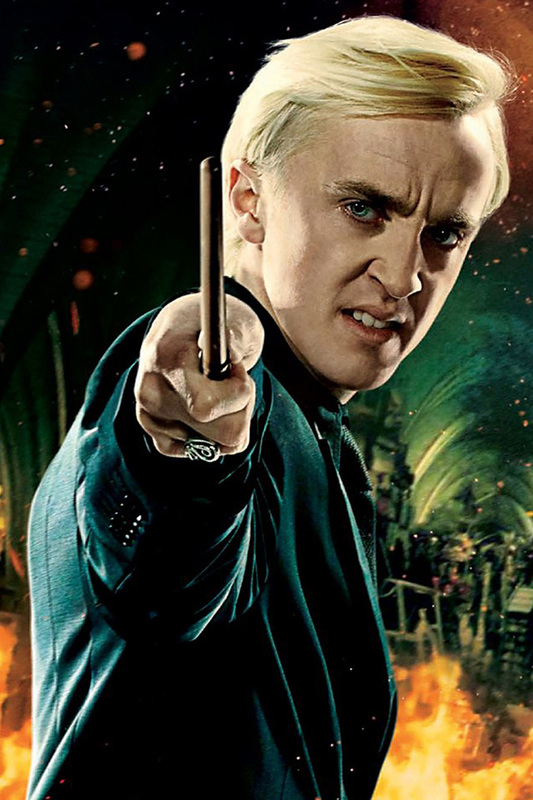 Draco is never the primary villain and I’d make the case that he’s not an evil person. However, he does bully Harry during his time at Hogwarts. 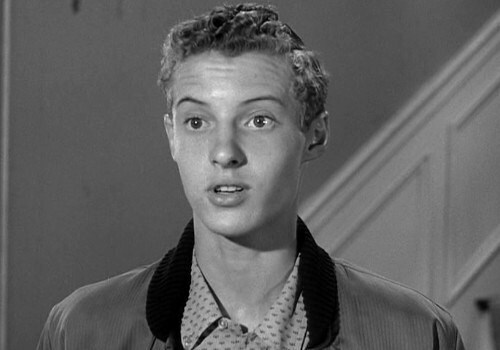 The same applies to Eddie Haskell, who, while not a villain or even a bad person, still functioned as an antagonizer to his friend, Wally Cleaver, and Wally’s younger brother, Beaver. Eddie would typically either talk Wally or Beaver into doing the wrong thing or would resort to teasing Beaver. However, while Eddie liked to antagonize, he wasn’t a bad kid as, at times, even he was capable of doing the right thing. Henchmen and Minions – These are villain figures who assist a primary villain but who aren’t a primary villain in and of themselves. Some of my favorite henchmen/minions would be the Ten Men in Trenton Lee Stewart’s The Mysterious Benedict Society trilogy. Seeing as they don’t function as the primary villain as they assist the main villain, Ledropatha Curtain, with his nefarious schemes, the Ten Men operate as henchmen. But rather than serve as trope goofball, goof up bad guys, the Ten Men are clever, ruthless, and cunning, which gives them a sinister quality that, in some respects, is more frightening than Mr. Curtain since they pose more of an overt, physical danger to the lead characters. Career Criminals – These villains make badness their business, whether it’s a hitman who makes a living taking lives or crime bosses overseeing vice operations. What makes these villains different is that there is some form of a code or business ethos dictating their decisions. Perhaps it’s a hitman like Suicide Squad‘s Deadshot who won’t kill women or children or mob bosses who think certain actions are bad for business (and there is a whole slew of gangster films that portray this). Whatever this code happens to be, it dictates the character’s decisions albeit not all of them. 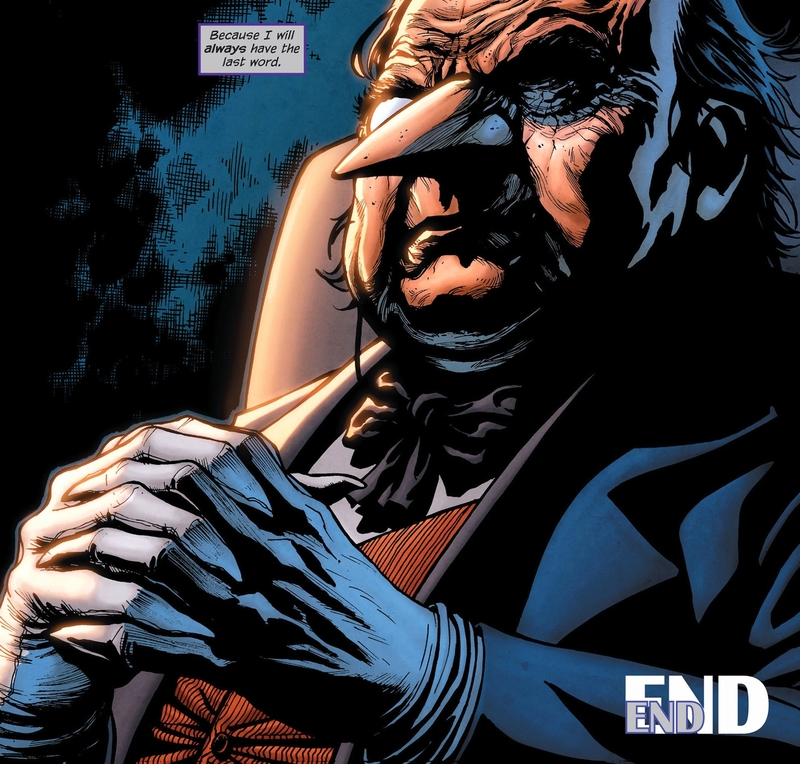 One such villain in this class is the Batman villain Penguin (aka Oswald Cobblepot). What sets him apart from the likes of other Batman baddies such as the Joker or the Riddler is that he approaches his line of villainy as a form of business. There are certain lines he won’t cross, such as senseless bloodshed for bloodshed’s sake, and others he will, such as thievery. Not to mention Penguin sometimes has done good that he didn’t intend, such as ratting out a rival to Batman and/or the police. Granted, it’s to protect his own interests but, by proxy, it keeps innocent people safe. Therefore, some of his actions and aspects of his personal business ethos do serve a good purpose. Ultimate Evils – These are villains who have no ultimate redemption. They are pure evil and even their positive attributes and talents are used for nefarious means. These are the type of baddies you love to hate and hope they get their just desserts. However, it takes a fine hand on the author’s part to insure that such villains don’t become cliches. 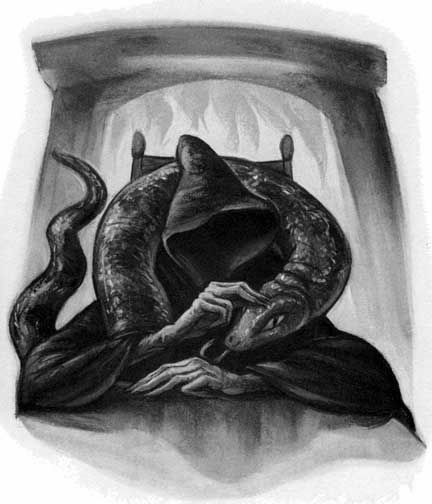 My favorite ultimate evil villain is Lord Voldemort from the Harry Potter series. Voldemort is just bad. Granted, Rowling keeps him out of trope territory by giving him a sympathetic, tragic backstory that lets you feel sorry for him for just a bit. However, he made wrong choices as a youth to do evil and abuse others, which carried over into his adult life. Voldemort is the type of villain you want to see defeated because there is no good left in him: he is so consumed with evil and there is nothing left to redeem because he doesn’t want to change. Morally Grey – Such villains waiver between doing right and doing wrong; however, they steer clear of being antiheroes because they veer a little too far to the wrong. A variation of this would be a villain who waivers between good and bad yet tries to justify to himself that the “bad” they do is somehow good. C.S. Lewis once observed: “When a man is getting better, he understands more and more clearly the evil that is still left in him. When a man is getting worse, he understands his own badness less and less. A moderately bad man knows he is not very good: a thoroughly bad man thinks he is all right.” Thus, morally grey villains know they’re not good people yet are still capable of doing the right thing or semi-right thing at times. For these characters, redemption is possible thanks to the fact that their sense of right and wrong might be in tatters but is still intact. Negan from The Walking Dead certainly belongs in this category. He ultimately acts out of his own self-interests, feels little remorse or guilt, displays violent behavior, and often plays mind games and manipulates others. 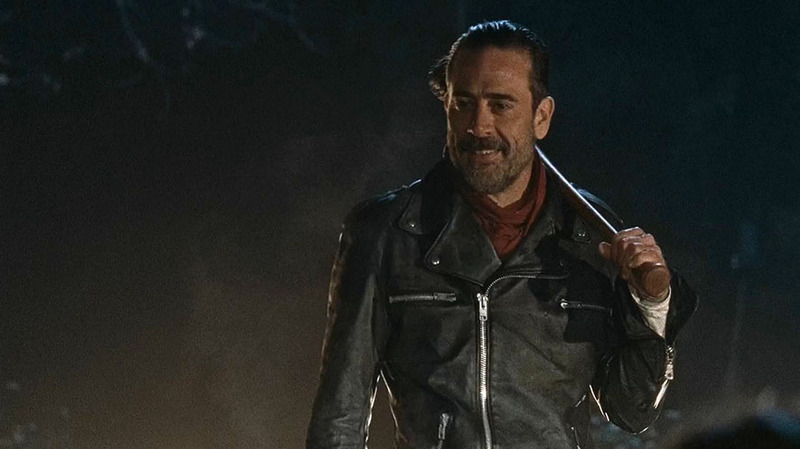 However, Negan doesn’t always do the wrong thing: he believes that “rules keep [people] safe,” he might give someone a stay of execution, apologize for his crass behavior, feel a degree of responsibility towards people under his leadership, or agree to fight common enemies in the effort to keep other people safe. Thus, there is a strand of good inside of Negan as he exists in a grey area where sometimes his actions and reasoning are morally muddled but not morally incapacitated. Conflict of Interest – These villains, under different circumstances, might not have been villains at all and are only deemed as such due to their alignment against the story’s heroes, thus creating a moral conflict of interest. Star Wars‘ Grand Admiral Thrawn fits perfectly inside this category. 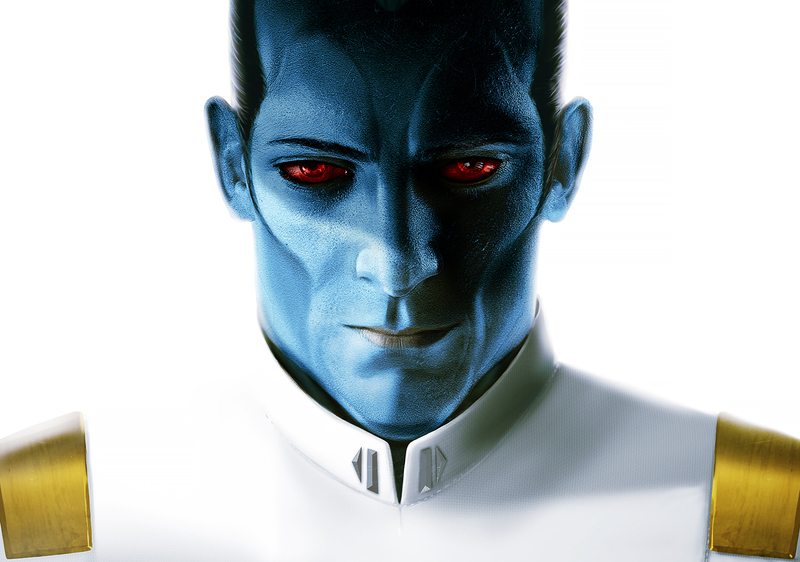 Thrawn possesses many positive traits such as a high level of intelligence, incredible foresight, astute military tactics and strategies, a distaste of brutality for brutality’s sake, an ability to command respect, and a curious mind that appreciates and analyzes art. Thus, what makes him a villain at all is that he serves the Empire rather than the Rebels’ cause. Despite this, Thrawn harbors personal reasons for joining the Empire’s service, namely the ability to gather intelligence on potential threats and an opportunity to combat said threats should they pose as dangers to his own people, the Chiss. While this isn’t a motivation Thrawn lets known to too many people, it’s an inherent drive that urges him to do what he does in terms of big picture decisions. He isn’t an evil or even a bad person: he’s simply chosen the wrong side in a conflict but has made this choice for, what he believes, is the good of his fellow Chiss. Part of what makes villains appealing is that they reflect some of the worst parts or tendencies of ourselves. Naturally, it’s a gross exaggeration, but I believe that even in a bad guy/gal’s worst traits, we can see a tiny aspect of our less-than-admirable sides or our own personal struggles over making good, moral choices. Through this cathartic experience, we can realize what these less desirable attributes are and strive for a change of heart and moral direction. Just as sometimes even a villain can turn good, that gives us hope that we, too can change.